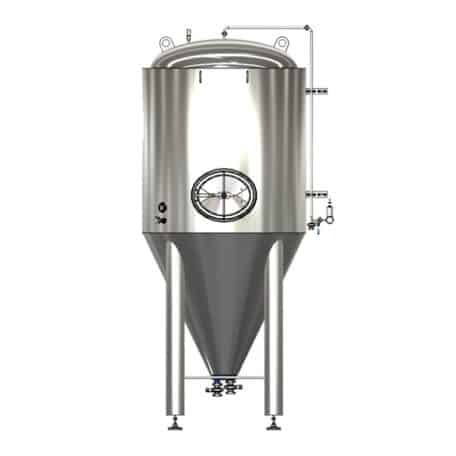 This description, offer and price includes a fully equipped tank in A1 configuration. 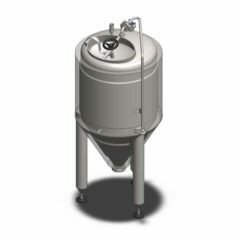 The CCTM-600A1 tank consists of the BASIC TANK CCTM-600BT and the additional equipment and accessories described in the section “A1-set : included equipment” . 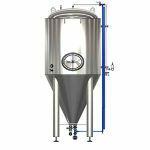 The CCTM-600A1 is assembled in Czech Republic of stainless steel material with food-production compliance certificate. 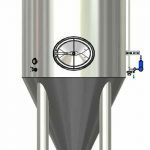 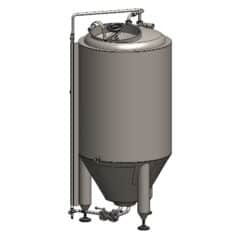 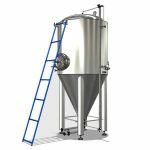 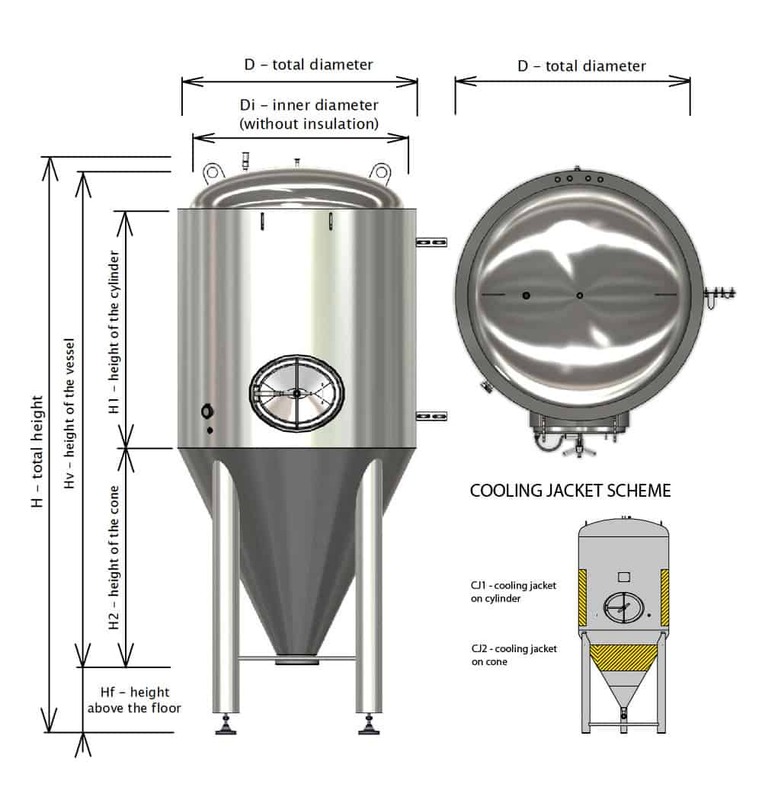 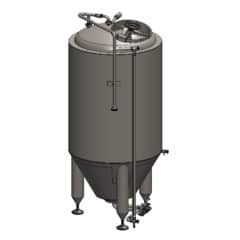 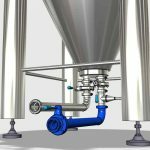 Modular cylindrically-conical tanks CCT-M are very versatile products from our production portfolio that enable freely assemble the beer production tank to a configuration that is momentally required by user with respect to the intended use. 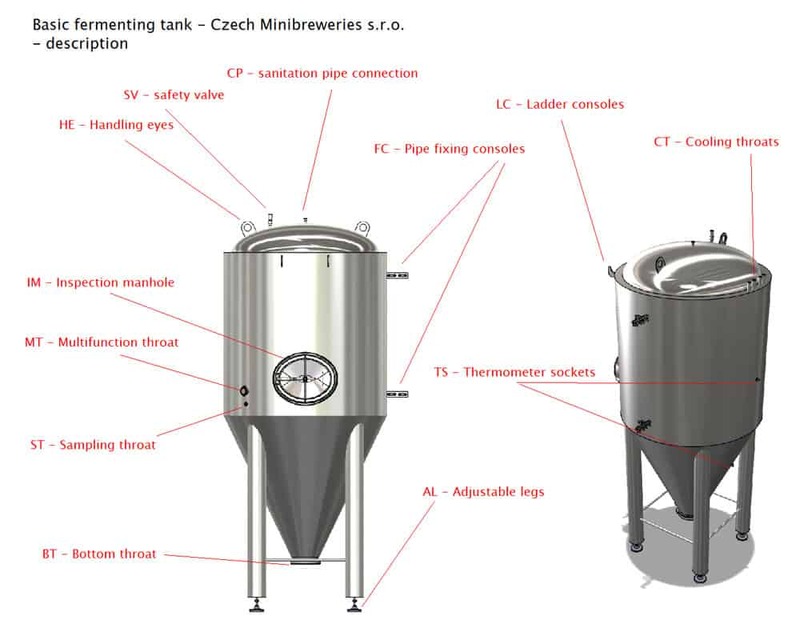 That actual configuration of the tank can be changed at any time to any other configuration using expansion accessories and their combinations. The A1 configuration is the simpliest (and cheapest) set of the CCT-M tank, that allow a controlled fermentation of beer, cider, wine, sparkling wine, must, lemonade and other similar beverages. 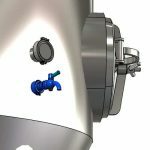 If the tank is equipped with a safety valve 0.5 bar (non-pressure vessels that do not require a certification by the European Directive PED 2014/68/EU), then the tank is suitable for the production of non-carbonized beverages (wines, ciders, soft drinks), but also for the main fermentation process of beer, cider or sparkling wines. If the tank is equipped with a safety valve 3.0 bar and certified according to PED 2014/68/EU, it can be used for both fermentation and maturing process of all carbonizated beverages. 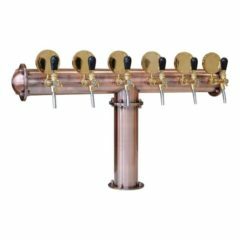 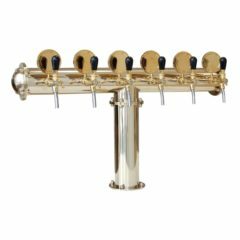 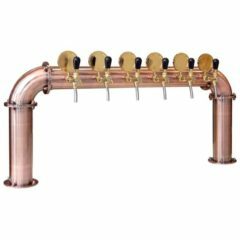 The configuration 3.0 bar is suitable for controlled fermentation and maturation (under pressure) of all kinds of beer, cider and carbonized wines. 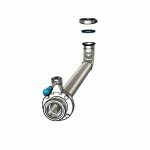 Equipment of the tank allows you to set the required pressure in the tank and also monitoring of the actual pressure, the fermentation process is indicated by bubbling CO2 gas through a fermentation lock with water – everything you need is included in the adjustable pressure valve (optional part). 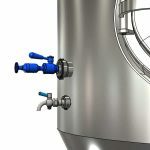 For the production of non-fermented beverages the adjustable pressure valve is not necessary accessory (it may be excluded from the configuration). 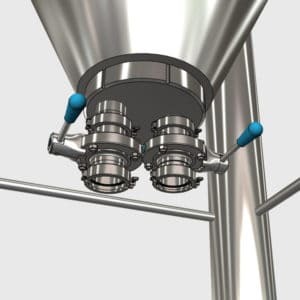 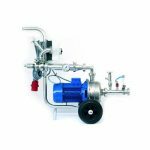 The tank is also equipped with a fixed or rotating spray ball with a pipe connection for easy washing and sanitizing tank using the CIP station (optional equipment). 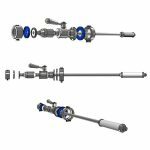 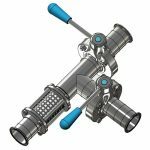 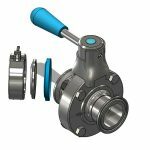 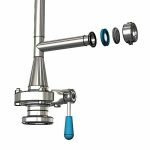 The sampling valve (optional part) allows collection of product samples to their analysis. 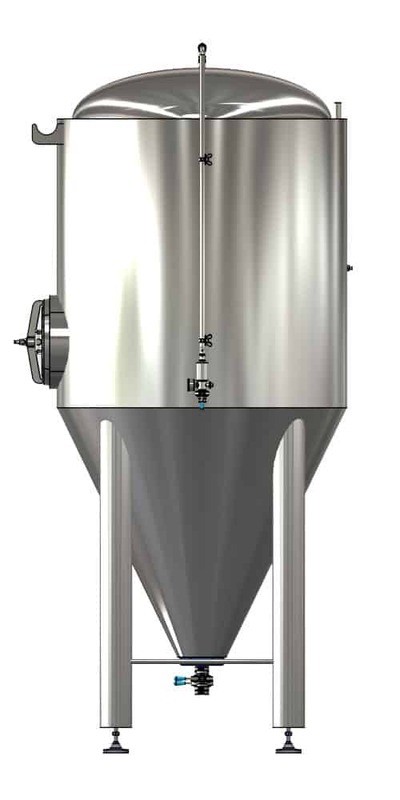 The tank may be equipped with the carbonization candle (optional part) with porous stone to additional carbonation of beverages before the final bottling process, using the multiport MT-DN40. The same multiport may be used also for dry hopping, when some special types beer are produced in the fermentation tank. 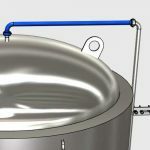 The port is also available for connection of the flotation machine (optional equipment) that is needed during the juice or cider production. 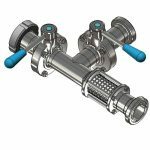 A placing of the input/output product valve and the tank draining valve very near of the tank prevents unwanted putrefaction of yeast inside uninsulated long pipes, as is the case in most fermentation tanks of other manufacturers. 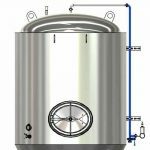 Note: The manufacturer reserves the right to change the dimensions of the tank according to current availability of stainless steel plates, bottoms and other construction material. 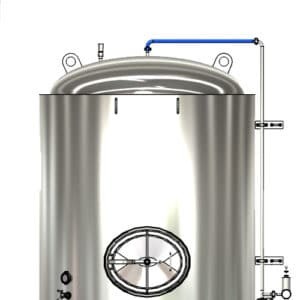 A customer always will receive a drawings of ordered tank before the production of the tank to confirmation of all dimensions and parameters. A customer that purchases the tank in A1 configuration may expand the tank later for other accessories and addittional equipment. 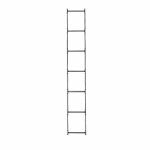 It means everybody can change the A1 set to any other set (A1 – B2 see bellow). 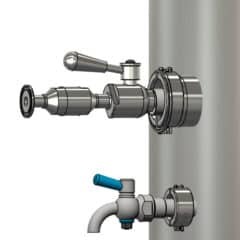 It is very easy because there is needed only to buy and connect other expanding components to the tank. 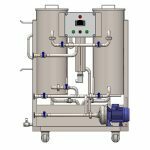 Compact water (or glycol) cooler with integrated digital temperature controllers and temperature sensor (fully equipped temperature control system for use with a single tank). 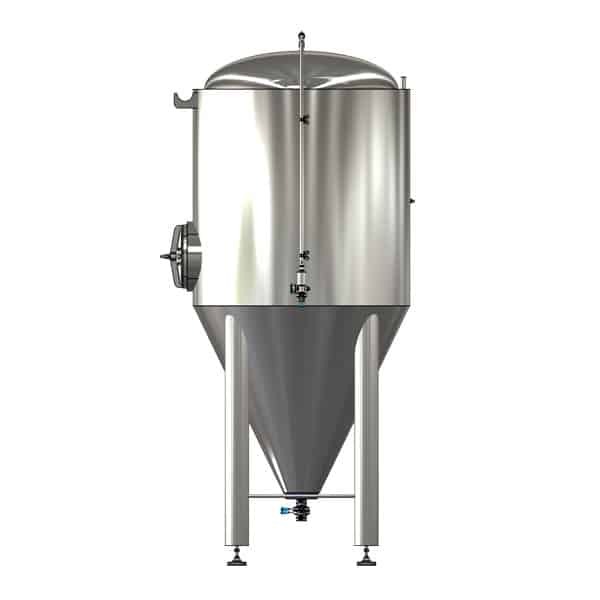 Cooling capacity 1200 W is sufficient for cooling of the insulated tanks up to 1000 liters. 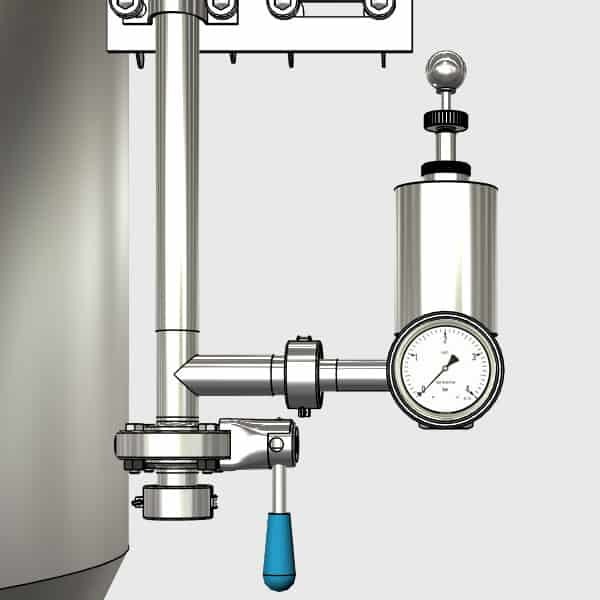 Fully equipped compact temperature measuring and control system for cooling one tank (each tank requires one piece of the controller). 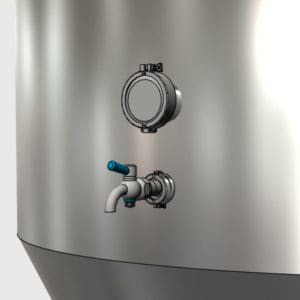 You need also use some water cooler with cooling capacity according of number and total volume of the tanks. 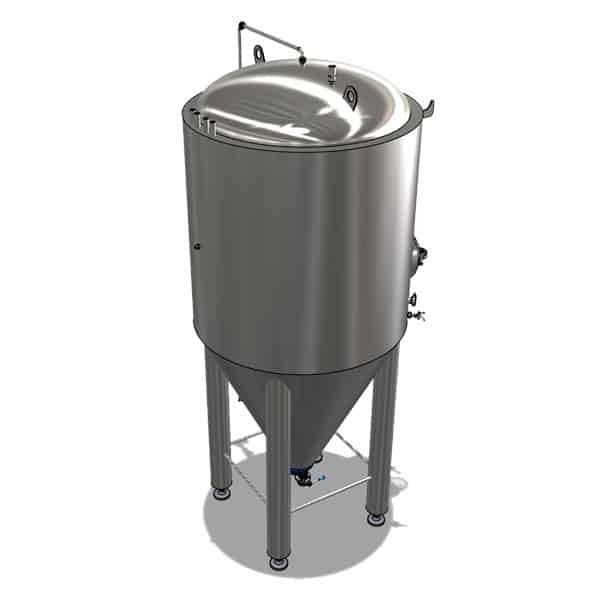 The CIP station with usable volume 2×50 liters for cleaning sanitizing and sterilisation of vessels and pipes in the brewery or cider production line. 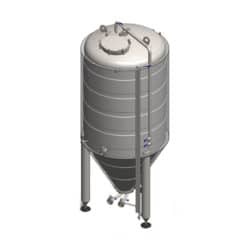 This type of the CIP station is recommended for the cleaning and sanitizing of tanks with volume from 0 to 2000 liters. The equipment CIP-503 is installed in a rigid a frame provided with lockable travel wheels. 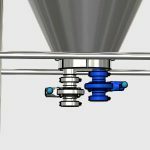 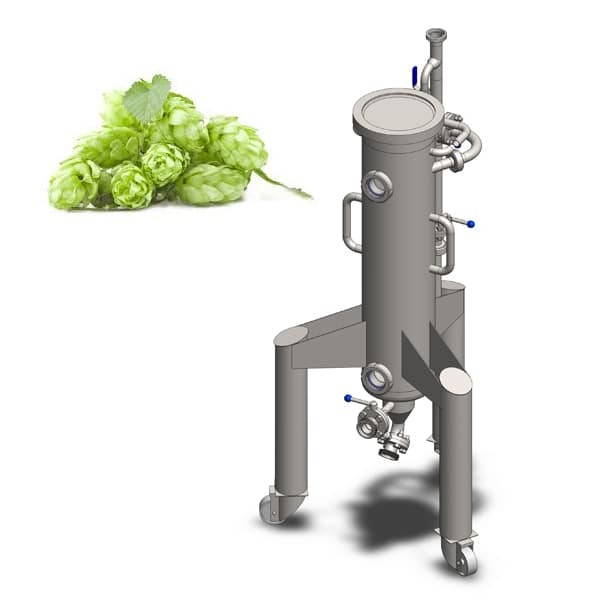 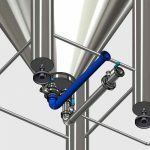 Hop extractor – the equipment for dry hopping of beer – adding of hop extract to finalized beer after brewing and fermentation process. 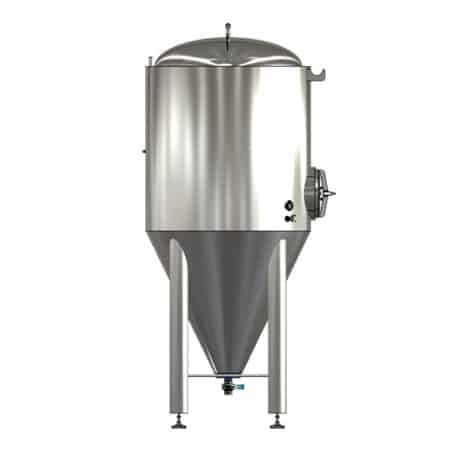 Capacity of the hop tank is 25 liters. It is used for dissolving granulated hops in finished beer. 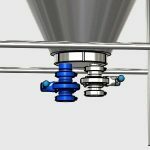 Dry hopping does not increase the bitterness of beer, while supporting hop aroma. 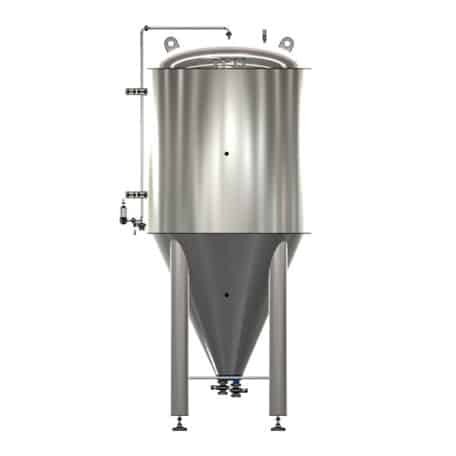 Efficient extraction of hops, uniform and definable flavoring of beer, it reduce the consumption of hops. 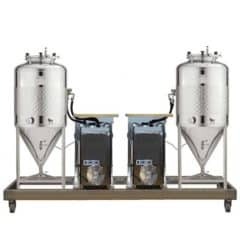 The equipment for Fruit Must Purging process. 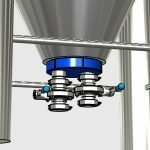 Flotation is most suitable way to achieve the goals due to continuous purging process. 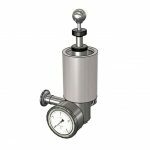 On using the method, the must is firstly pressure saturated with gas, resp. 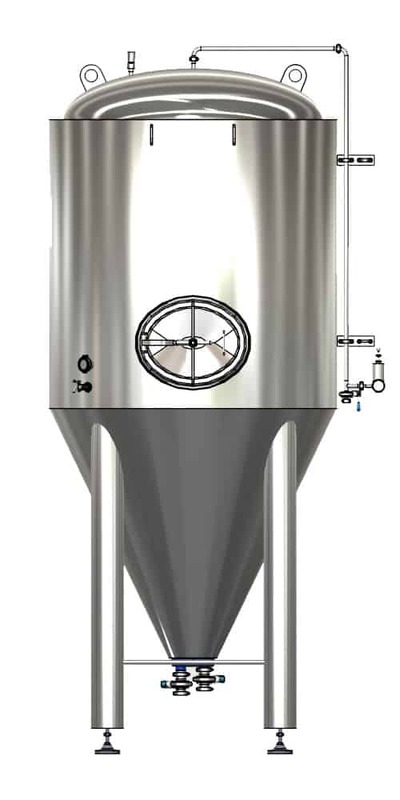 air, and then the pressure is released. 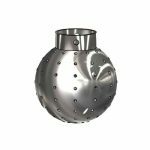 Thus the releasing air or gas creates fine bubbles, which bound the mud particles and the particles go upward. 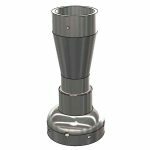 Compact mud cake is created on the must level. 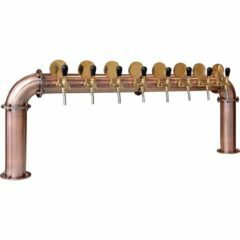 Attention: The internal data of table “34” is corrupted! 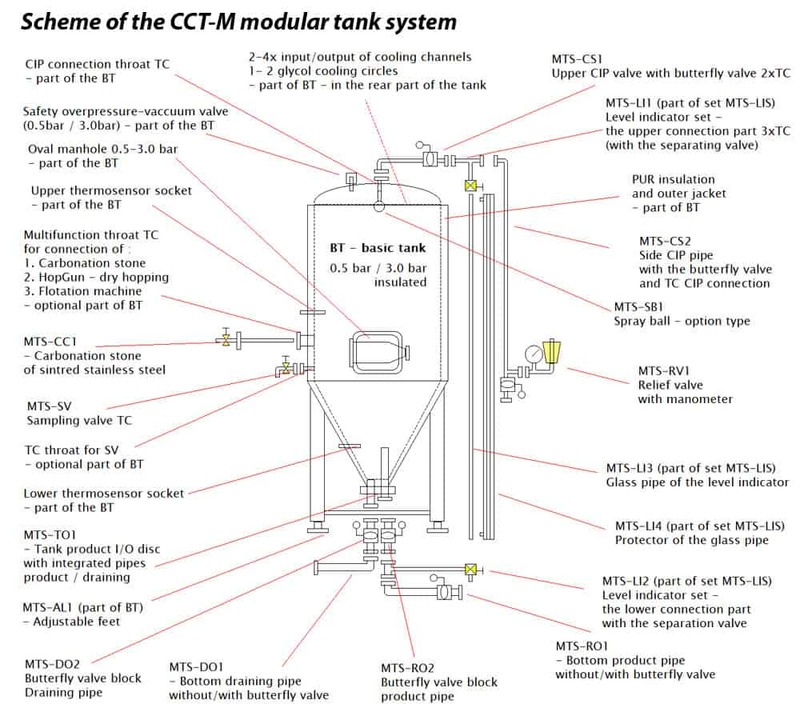 Notice : All CCT-M tank and their sets are easy changeable to any configuration according to actual customer needs. 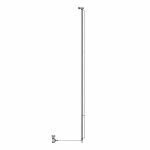 Luxurious dispense tower for serving of beer, cider, wine or other beverages. 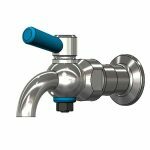 Unique bridge design – 6 tapping valves with labels. 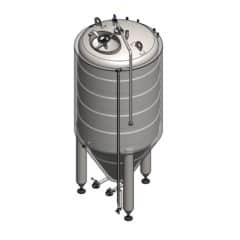 The fermentation and maturation unit BREWORX MODULO FUIC-SLP2C-2x600CCT is the independent mobile block with two cylindrical-conical tanks 2x 600 liters (total capacity 2×625 liters). 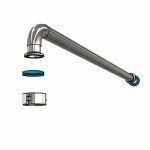 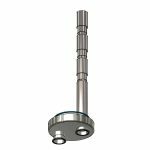 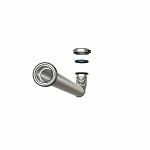 This SLP version of FUIC has a simplified construction design without insulation and with the adjustable low-pressure range from 0 to 1.2 bar. 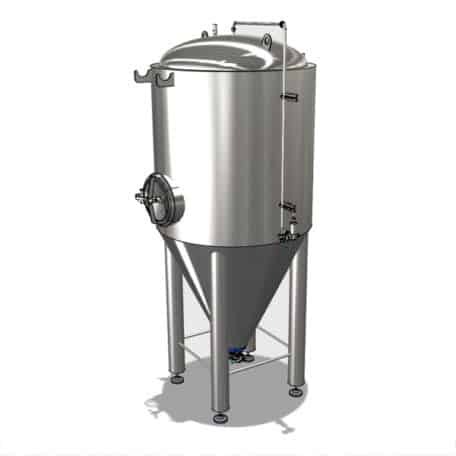 The FUIC unit includes everything what is necessary for the main fermentation of beer/cider/wine, maturation of beer/cider/wine, storage and preparation of beer/cider/wine for handy bottling and dispensing process.